As you probably already know, the city of São Paulo, Brazil, has put an end to all outdoor billboards, neon signs and other means of outdoor advertising. This is old news, since the ban has been on since January 2007, now a little more than two years ago. Surely, you should be able to sell your product without the need of big surface platforms? Surely, you don’t belong to the generation of “bigger logo, bigger logo”? And surely, you respect the fact that unless you have something interesting to say, people don’t really want to hear from you anyway? On one hand, I don’t want to come across like Naomi Klein and on the other hand, I do not really believe in a completely self regulatory marketplace – but I do want to share my genuine respect for a metropolis taking back the streets, and in many ways, the ban of billboards in big cities (São Paulo is home to some 11 million citizens) is very refreshing, and for a lot of brands and companies out there, it should be embraced. Knowing that a few of my peers and colleagues in the advertising industry will come at me like mad dogs, I am excited that the mayor of one of the biggest capitals in the world is more post advertising than most of the post advertising industry itself. Following up on articles about the advertising developments in São Paulo, it is no surprise that the budgets are now being spent on other channels, like building brands online or through magazines, you know, spending time with the end user that she appreciates and believes is time well spent instead of just shouting it from every corner of the city. Albeit the primary rationale for banning the billboards are very different from how we are working with communication at Story Worldwide, the idea that blind noise is unacceptable if you want to establish true engagement with your audience is familiar. And I will happily take on the challenge of getting any organisation or company established as a top brand in Brazil. 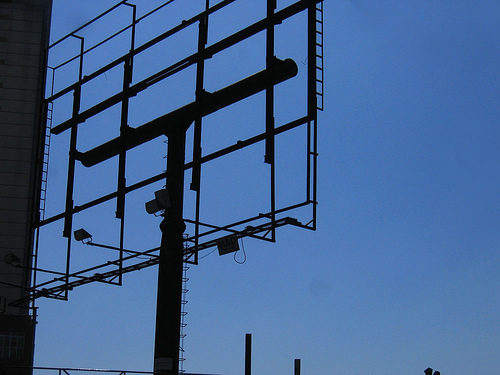 Actually the constraints contained in the ban of billboards plays to our strength – as it should to yours, too. This is a new post from David Report contributor Frederik Andersen.